Melatonin is a wonder hormone, a substance that develops in the pineal gland that helps us sleep and wake, as well as adjust to different seasons. We don’t always produce as much melatonin as we should, which is one reason why it’s so nice to have access to melatonin supplements. But what about melatonin for kids? Kids famously give parents fits when it comes to bedtime, often fighting against their need to fall asleep. If is safe to provide melatonin for children? Is it even safe to provide melatonin for toddlers? There’s a lot to know about melatonin for kids before you give a dose to your son or daughter. 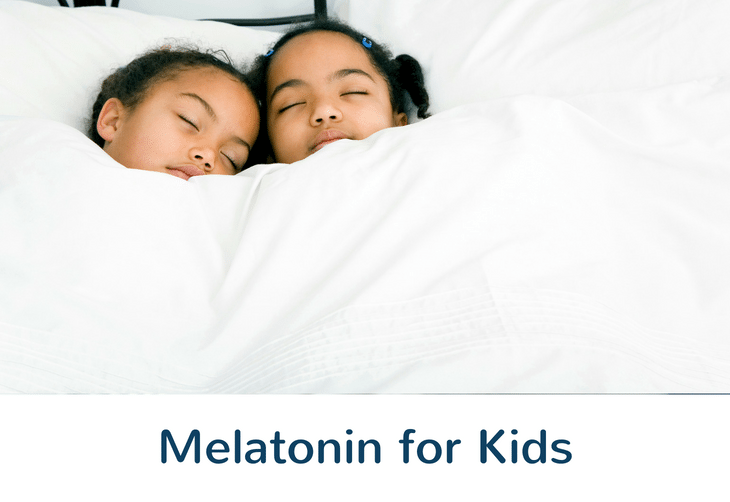 Read on to learn more about melatonin for children, including possible side effects and alternatives you can try if you’re uncomfortable with melatonin. Why Parents Give Melatonin to Kids? All Things Considered, Should I Give Melatonin to My Child? According to the National Institutes of Health, melatonin use by children ages 4 to 17 spiked dramatically between 2007 and 2012, from .1% to .7%. What explains this dramatic increase in melatonin usage among young people? There are a number of theories. First, more and more people are becoming aware of natural supplements and how they can help people of all ages lead healthier lives. Melatonin is a hormone that our body produces naturally, and melatonin supplements are now used for a number of different reasons — mostly to help people get back on healthy sleep-wake cycles. And, second, parents will do almost anything to help their children sleep. If parents have already gone through sleep training and tried other tactics for helping their kids get good ZZZs, it’s only natural for them to start looking for more things that can help — like melatonin supplements. It’s a great question: Is melatonin safe for kids? Unfortunately, the answer varies depending on whom you ask and where you look. Each parent will need to make a decision based on their own unique circumstances, taking into account the child’s age and the advice of the child’s pediatrician. You should know that there’s no danger of anyone overdosing on melatonin, kids included. That doesn’t mean there are no side effects or dangers, but you won’t have to worry about overdosing. Studies indicate that melatonin can help children suffering from insomnia fall asleep more quickly than they would without it. Melatonin may also help children stay asleep longer than they would otherwise, which is particularly helpful to parents who have an issue with kids staying in bed. That said, the true effectiveness of melatonin on children is generally unknown and certainly an area that needs more study and research. Before you jump into using melatonin to help your child sleep, try behavioral intervention and sleep training first. If you are going to use melatonin to help your child sleep, how much should you use? The recommendations vary, but here’s a rule of thumb that you can follow: Start with the smallest possible dose, and then add to it if you aren’t getting the desired result. That said, make sure you ask your child’s pediatrician before you raise a melatonin dosage higher than 1 milligram. Some studies indicate that doses of more than 1 milligram have led to seizures. Melatonin supplements come with side effects, no matter the age of the user. This is particularly true if the user is taking other drugs that may lead to unique interactions when used along with melatonin. There are specific side effects when children use melatonin supplements, though. Those unique side effects include bedwetting, dizziness, diarrhea, nausea and added drowsiness after waking in the morning. Keep in mind, children won’t experience these side effects widely — they are only possible side effects that may be present on a limited basis. There’s one additional side effect to keep in mind. In some cases, doses of melatonin that exceed 1 milligram are associated with seizures in children. Be sure to speak to a doctor before you provide a dose of more than 1 milligram to a child. Only you can make the decision as to whether or not to give a child melatonin. With that in mind, consider 4 things when trying to make a decision about kids and melatonin. 1. Overdosing: No one can overdose on melatonin. Not even kids. It’s a hormone naturally produced by the body, and no one can overdose on melatonin like they can on other sleep aids. 2. Dosage: When choosing a starting dose, think small. Giving a child as little as .1 milligram of melatonin can help him or her fall asleep. Start small and then add to the dosage if you’re not getting the results that you want. 3. Threshold: Pause before going beyond 1 milligram in a single dosage. After starting small, you may want to add to the dose, but, as noted above, doses of more than 1 milligram have been associated in some cases with seizures. 4. 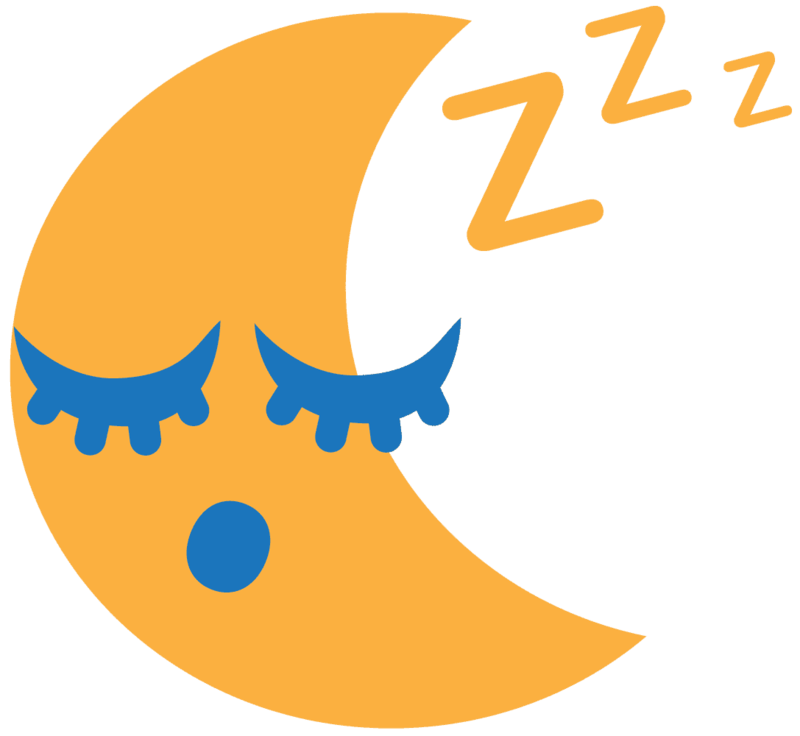 Guidance: The best place to get guidance about melatonin and children is from a pediatrician. If you have any questions about melatonin and whether or not it’s a good sleep aid for your child, ask his or her pediatrician. Considering that a child cannot overdose on melatonin, the greater concern is the potential long-term effects. If used too often, melatonin supplements can stunt the body’s ability to develop melatonin naturally — which is the last thing you want for a child. Also, a child’s body is developing in so many ways, and you need to take added precautions before introducing supplements. If you’re uncomfortable with giving your child melatonin, you do have alternatives. The best ways to help your child sleep are to try and boost melatonin naturally and to create the right environment for sleep. To boost melatonin naturally, make sure that your child’s room is dark at night. This is tough during summertime when the days are longer and the sun might still be out at bedtime. Also, be sure to introduce natural light to your child’s room first thing in the morning. Melatonin helps regulate the body’s sleep-wake cycle, and aligning your child’s sleep schedule with natural light is vitally important. Also, make sure that your child avoids screens in the hour leading up to bedtime. Screens can introduce light that reduces melatonin, so help your child stay away from televisions, smartphones, tablets and other screens. And, finally, develop a good routine. The best thing you can do to help your child sleep is to get them on a routine of going to bed and waking up at the same time, and doing consistent activities around both. If you can boost melatonin naturally and get your child on a routine, you may find that you don’t need supplements.